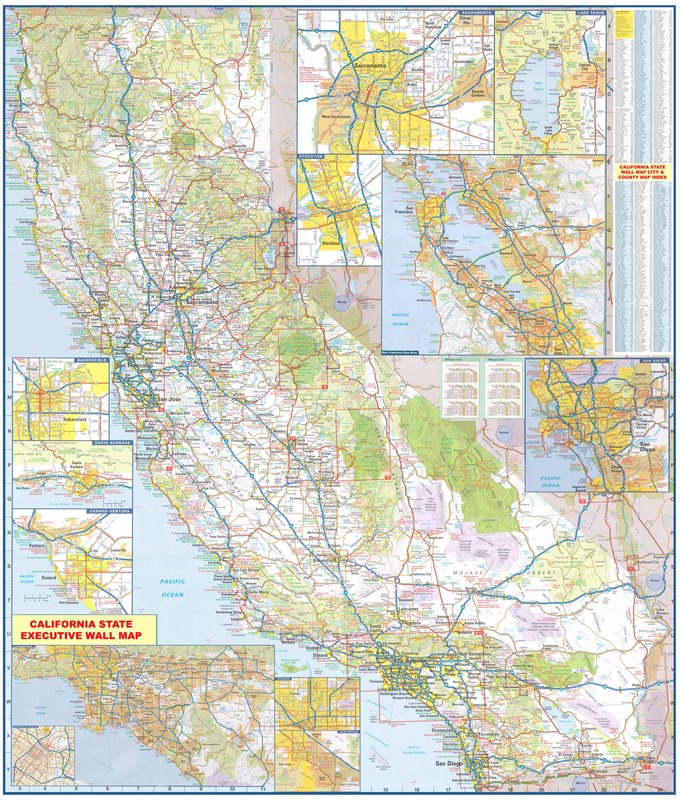 The California Wall Map Executive Commercial Edition is available paper, laminated or framed in multiple sizes to meet your business or home needs for a large wall hanging map reference for the State of California. 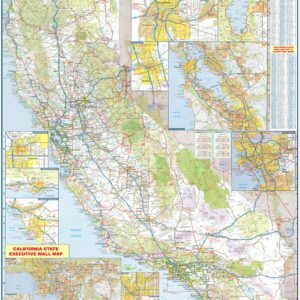 The Official State of California Wall Map Executive Commercial Edition city/county wall map details include all state/federal highways, cities, towns, major waterways, airports, hospitals, wildlife areas, state universities, state and national parks, military reservations, a mileage chart between major cities, county names/boundaries, color coded boundaries, and points of interest. 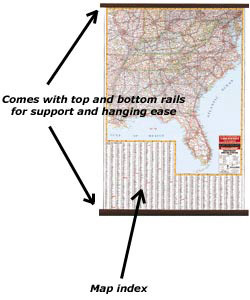 The map available below in a variety of sizes and finished to fit your map needs. Data provided by the CA Dept of Transportation! Custom sizes available via request.